It’s only January but we already have an early candidate for interview of the year. His name is Chieh Huang, and he’s the CEO of Boxed, an online and mobile membership-free wholesale retailer that offers direct delivery of bulk-sized packages. 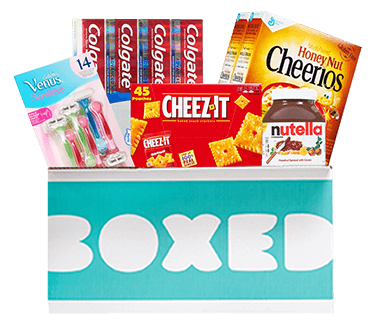 Founded in 2013, there’s really one simple idea behind Boxed: make shopping for bulk easy, convenient and fun, so you can focus on the things that really matter. But there’s much more going on behind the scenes, especially in the HR department, and that’s really what got me interested in having this conversation. As companies large and small define and redefine the American workplace, cultivating a mission-driven culture has taken hold among America’s most successful startups. This culture is not just about free snacks and nap rooms - it is about creating an environment where feedback is not just encouraged but actively sought by upper management. How do companies make this happen? What can you do in yours to cultivate a mission-driven culture? Chieh Huang has such a refreshing perspective when it comes to his employees that it’s hard not to be a fan. More companies need to follow his lead. Have a money question? Email us here.